I was still at school during the Miners strike and the NCB Scottish headquarters was right next to my school so everyday we would go down and stand with the striking miners in the picket line. Sometimes we would give them our dinner money but most of the time we would just join in with them giving abuse to people crossing the picket line. While teenagers hanging around was probably more of a nuisance than a help to the strikers it did ensure that the Miners strike had a lasting influence on me politically. Watching the evening news with a steady stream of images of battles on picket lines, the injuries and deaths of miners and the brutality of the state has stayed with me in the same way that news reports of the 1981 hunger strike linger. They were two of the bitterest landmarks of the 1980s, but the connections between them have not previously been fully appreciated – the Hillsborough disaster, 23 years ago this Sunday, in which 96 Liverpool supporters died, and the “Battle for Orgreave” five years earlier, the most violent episode of the coal miners’ strike. Speaking to the Guardian, the prominent lawyer Michael Mansfield QC and the Merseyside MP and shadow cabinet minister Maria Eagle said they believed South Yorkshire police‘s conduct at Orgreave and in its aftermath, when it brought failed prosecutions against 95 miners, revealed a culture of malpractice with impunity that had not been remedied by the time the same force policed the Hillsborough disaster in 1989. The similarities between the events have not been fully explored, they argue, but the links will help to inform the Hillsborough families’ fight for some form of justice – the full truth about what happened to the victims, and accountability from those culpable. The families hope that this will be a pivotal year for their campaign, as an independent panel of experts chaired by James Jones, the bishop of Liverpool, is examining 500,000 internal, official documents relating to Hillsborough, the majority from South Yorkshire police. The panel will write a report, due in the autumn, explaining what those documents add to the “public understanding” of the disaster. After both Orgreave and Hillsborough, South Yorkshire police – under its chief constable, Peter Wright, who died last year – was accused of the concerted fabrication of evidence against the miners and Liverpool supporters respectively. After a substantial reform of the force begun by the chief constable who succeeded Wright, Richard Wells, the disclosure of the documents was initiated in 2009 by the then chief constable, Meredydd Hughes, in a spirit of greater openness over Hillsborough. 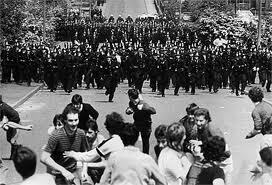 After Orgreave, South Yorkshire police claimed they had been attacked by striking miners, and prosecuted 95 people for riot and unlawful assembly, offences that carried potential life sentences. All were acquitted, after defence lawyers argued that police evidence was false, fabricated and that an officer’s signature on a statement was forged. Mansfield, who defended three of the accused miners, describes the prosecutions as “the biggest frame-up ever”. Mansfield argues that South Yorkshire police, under Wright, had been “institutionally corrupt” and was still unreformed when the Liverpool supporters came to Sheffield for the FA Cup semi-final against Nottingham Forest. Lord Justice Taylor, in his official report into Hillsborough, published in 1990, judged that mismanagement by South Yorkshire police was the prime cause of the disaster, yet the force relentlessly sought to lay the blame on the Liverpool supporters. A unit of senior officers, reporting to Wright, oversaw that case, ordering junior officers to rewrite their statements, to delete criticisms of the police’s own operation and emphasise allegations that supporters were drunk and misbehaving. In a parliamentary debate on Hillsborough in October, Andy Burnham, the shadow health secretary, argued that the police operation to blame football supporters at the Sheffield Wednesday ground was “truly shocking” and “transports us back to an era when football supporters were considered to be the ‘enemy within’ “. That was the label famously applied by the then prime minister, Margaret Thatcher, to the coal miners, on strike in 1984-85 against the planned mass closure of the mines. Eagle, a long-term Hillsborough campaigner, has described that operation as a “black propaganda unit”, conspiring to pervert the course of justice. She now says she sees “striking similarities” with the prosecutions of miners after Orgreave. “There was a central unit working directly to the chief constable, peddling a story that was untrue, and fabricating evidence. After Hillsborough, the South Yorkshire police did the same, to blame the innocent victims of the disaster. I see this as a culture in which it was acceptable to lie and smear others, and they expected impunity. The dominant images from the South Yorkshire police operation in a field close to the coking plant at Orgreave on 18 June 1984 are beaten into the national consciousness: police on horses charging into miners who had gone there to picket, and one police officer repeatedly hitting a miner (Russell Broomhead) about the head with a truncheon. South Yorkshire police’s response immediately afterwards was strikingly similar to its later conduct after Hillsborough: to brief the most senior politicians and the media that the miners had attacked the 4,000-strong ranks of police, many in full riot gear, and to say theofficers had only been defending themselves. 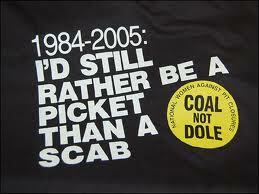 In the House of Commons Thatcherdescribed the miners’ conduct as “mob rule”. Less well known is the outcome of the prosecutions of the miners – all 95 were acquitted after the police evidence crumbled in the first trial of 15 of them. In 1991, 39 miners were paid an unprecedented £425,000, plus costs, by South Yorkshire police to settle civil claims that included assault, malicious prosecution and wrongful arrest. After Hillsborough, South Yorkshire police also briefed Thatcher, and the media, that misbehaviour by the Liverpool supporters had caused the disaster. Taylor, in his official report, dismissed that completely, judging the 96 deaths to have been caused by the negligence of the police, and appalling safety failures by Sheffield Wednesday football club and Sheffield city council. Yet at the inquest in Sheffield, the police advanced their case against the supporters again, even more aggressively. The coroner, Dr Stefan Popper, ruled that he would hear no evidence on events after 3.15pm on the day of the disaster, so excluding the police’s chaotic response to the disaster, which the force more recently admitted. The 3.15pm “cut-off” also deprived the bereaved families of discovering exactly how and when their loved ones died. No police officer has ever been disciplined or accepted responsibility for the tragedy, deepening the families’ sense of injustice. In Orgreave, the miners’ account of what happened, as related by one of those charged, Bernard Jackson, in his book The Battle for Orgreave, and in the documentary of the same title, was very different to that of the police. The miners said they were ushered into the field by police – a puzzling change from the normal practice of blocking access routes and turning them away. The police version of events was that the miners had massed together and launched a violent assault before the horses were unleashed. According to Jackson and the others accused, there was very little trouble before the miners were charged by mounted police, then by officers wielding truncheons and short shields. The miners’ evidence was supported by the police’s own official video, which showed groups of miners relaxing in the sunshine. The miners denied misbehaving and said they were indiscriminately attacked by police. Several had serious injuries when they were arrested, including head wounds from truncheon blows, and one, David Bell, had a broken leg. They said the police had handed them back to other officers, who made the arrests and, in each case, two officers made statements about what the men were alleged to have been doing. One police constable said in court that 15 officers had significant parts of their statements dictated to them by two detectives on hand to marshal the evidence against the miners. Under cross-examination by Mansfield and the other defending barristers, including Vera Baird, later a QC and Labour minister, many officers’ accounts faltered badly, leading the barristers to argue that the accounts had been fabricated. In the case against one miner, Bryan Moreland, a police statement was signed at the bottom by two named officers. Baird argued that one officer’s signature was clearly not in his handwriting and had been forged. She requested that when the court adjourned for lunch, a handwriting expert be called to examine the signature, to which Judge Coles, presiding, agreed. When the court reconvened after lunch, it was announced that the original statement had gone missing. Copies were nevertheless analysed by a Home Office handwriting expert, whose opinion was that the signature on the statement was not written by that officer. Moreland became the first of the miners to be acquitted, on 26 June 1985, when the prosecution declared it was not continuing with his case. The other 14 were found not guilty on 17 July, before an officer who had commanded a unit with truncheons and short riot shields was due to give evidence. Brian Walsh QC, prosecuting, said, after 48 days of the trial, that the evidence of who did what had been obscured. “It would not be proper to proceed,” Walsh said, asking the judge to announce not guilty verdicts. The defence had not yet begun, which frustrated some of the men, who had wanted to tell their stories. Following the acquittals, Mansfield described the case as a “frame-up”. Wright, however, consistently defended the Orgreave operation. In a report to the police committee on 25 September 1985, the chief constable explained he had planned a strategy of charging picketing miners with riot and unlawful assembly, after, he said, previous disorders at Orgreave. On the fateful day, Wright said, “the evidence-gathering team comprised one detective inspector, one detective sergeant and four detective constables”. Wright described the police statements as having “a degree of superficiality” and being of “insufficient quality and quantity”, but did not accept the evidence had been fabricated or dictated. Nor did he refer to the forged signature. He argued the officers had been tired from overwork and had had to make their statements too “expeditiously” on the day. Several Labour MPs representing mining areas called for a public inquiry, as did Mansfield and one of the defence solicitors, Gareth Peirce, but no inquiry was held. No police officer is understood to have been disciplined for anything arising out of Orgreave, for either the alleged assaults on miners, or the allegations of fabricated evidence. It would be six years later, in June 1991, when, with little national reporting, the 39 miners were paid £425,000 by South Yorkshire police to settle their civil actions. Mansfield and Eagle argue that a culture of malpractice and impunity, exposed but not remedied after Orgreave, was still in place four years later, on 15 April 1989, when South Yorkshire police was responsible for the FA Cup semi-final at Hillsborough. In his report, Taylor identified as the “immediate cause” of the 96 deaths the failures of the match commander, Chief Superintendent David Duckenfield, who had ordered an exit gate to be opened to relieve pressure outside the ground, but failed to direct the incoming supporters away from the tunnel leading to the overcrowded central “pens” on the Leppings Lane terrace. That, Taylor ruled, was a “blunder of the first magnitude”. Duckenfield, with the disaster unfolding, lied about the opening of the exit gate, saying Liverpool supporters had forced it, a version that was initially broadcast on television before being corrected. A videotape of CCTV footage went missing on the night of the disaster, from the locked control room at Hillsborough, a theft for which no culprit was ever caught. However, the CCTV footage that survived showed the gate being opened from the inside on Duckenfield’s order. The following day, the police themselves briefed Thatcher that the disaster had been caused not by their own failures, but by drunk Liverpool supporters. The media, most notoriously the Sun, carried smears against the supporters, citing senior police sources, which Taylor later ruled to be without foundation. The South Yorkshire police operation to avoid blame for the disaster, and to allege misbehaviour by the supporters, was maintained as a corporate task by senior police officers, overseen by Wright. Junior officers were ordered to rewrite their statements from the day, to remove criticism of the police’s operation and emphasise misconduct by supporters. The police presented that case aggressively to Taylor’s inquiry, then to the inquest that followed, where the jury, to the families’ enduring dismay, returned a verdict of accidental death. No police officer was ever disciplined for the failures that led to 96 deaths, a perceived lack of accountability that forms the core of the families’ 23-year campaign. In the parliamentary debate last year, Burnham and his fellow Merseyside Labour MPs, Steve Rotheram and Eagle, described South Yorkshire police’s post-Hillsborough operation as “a brutal campaign to set public opinion against the supporters”, “a conspiracy to pervert the course of justice” and “an establishment cover-up”. The home secretary, Theresa May, did not dispute those interpretations, and maintained the coalition government’s commitment to full disclosure of all police and public documents, via the independent panel, to the families first, then the public. “The families of the 96 deserve the truth,” May said. Margaret Aspinall, the chair of the Hillsborough Family Support Groupwhose 18-year-old son, James, was killed in the disaster, said she and other families knew very little about the earlier Orgreave events. According to Professor David Waddington of Sheffield Hallam University, an expert on public order policing who was at Orgreave as an academic observer, Wells and Hughes oversaw a process of reform, aiming to win back public faith with a less confrontational approach to policing. Hughes’s initiative to release all the force’s documents relating to Hillsborough is viewed as part of the effort to be seen as more publicly accountable. Andy Holt, deputy chief constable for South Yorkshire police, who is overseeing the disclosure, said the force has decided not to comment on Hillsborough until after the independent panel reports. The force has not yet named the senior officers who orchestrated the changing of junior officers’ statements. Holt said the events at Orgreave were part of the force’s history and because of the passage of time, he was unable to respond.